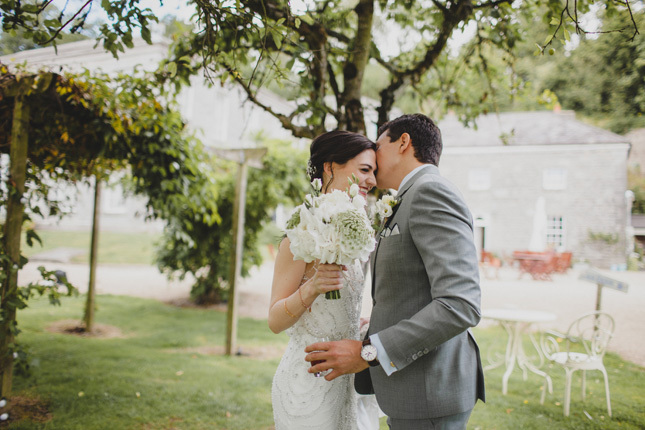 Maeve moved from Ireland to New Jersey when she was six-years-old and was in the same class as Dan since they were eight. 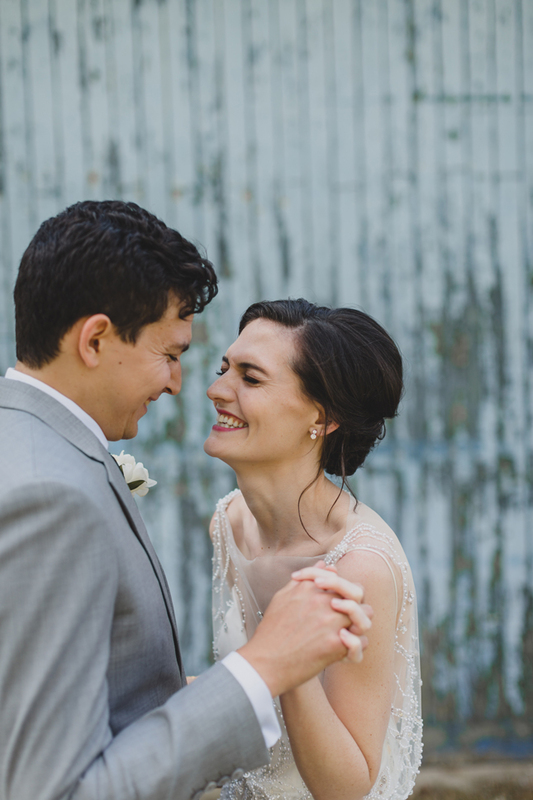 They were friends for many years before they started dating at 17, in their last year of school. 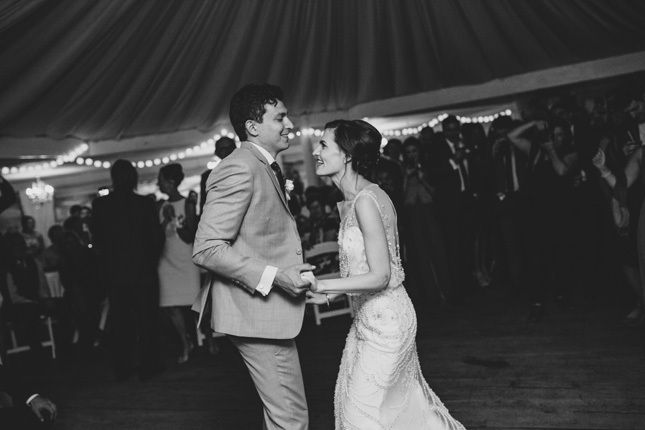 "We made it through college in DC, studying abroad in Ecuador and South Africa, and other years apart on and off. 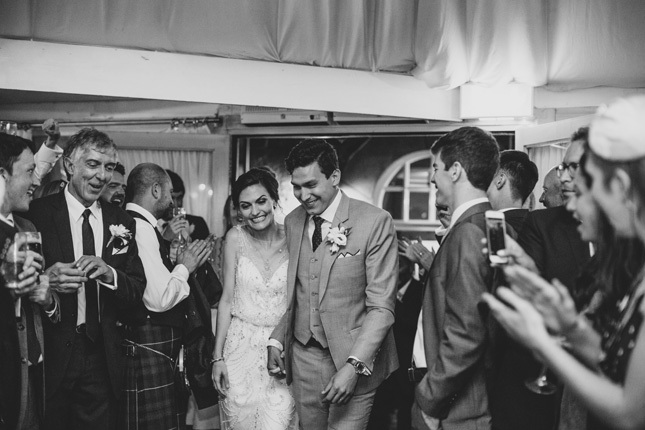 We’ve been in New York city together now for the last four years and have truly grown up together." 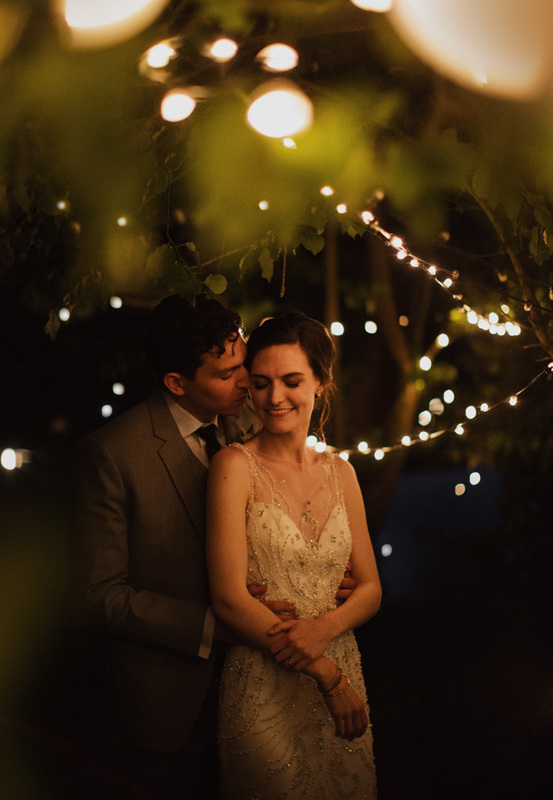 - Aww! 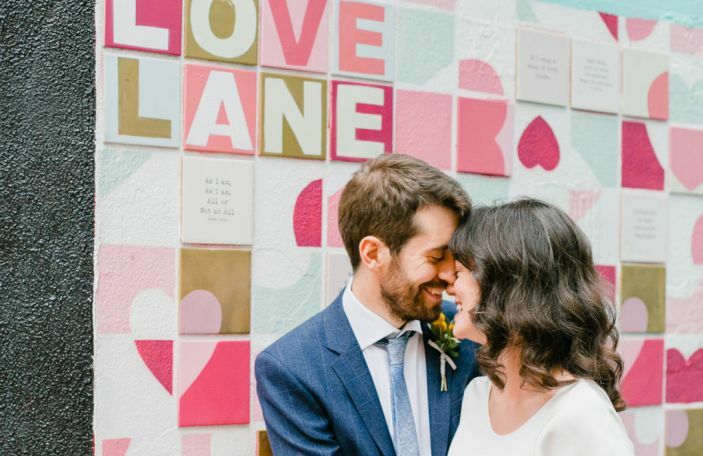 After long discussions, the pair decided they would get married but they wanted to create a special, memorable moment to make their engagement official. 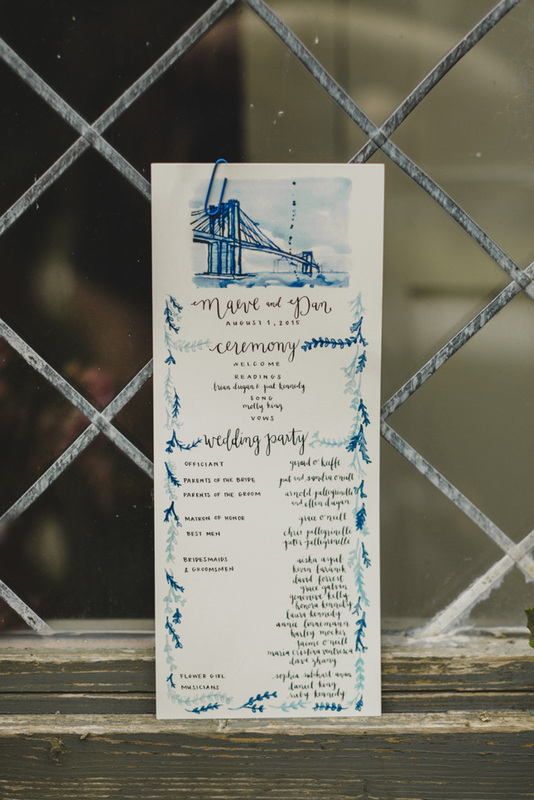 "Since Dan moved to NYC after college, we've had this tradition to walk across the Brooklyn Bridge to celebrate momentous occasions. 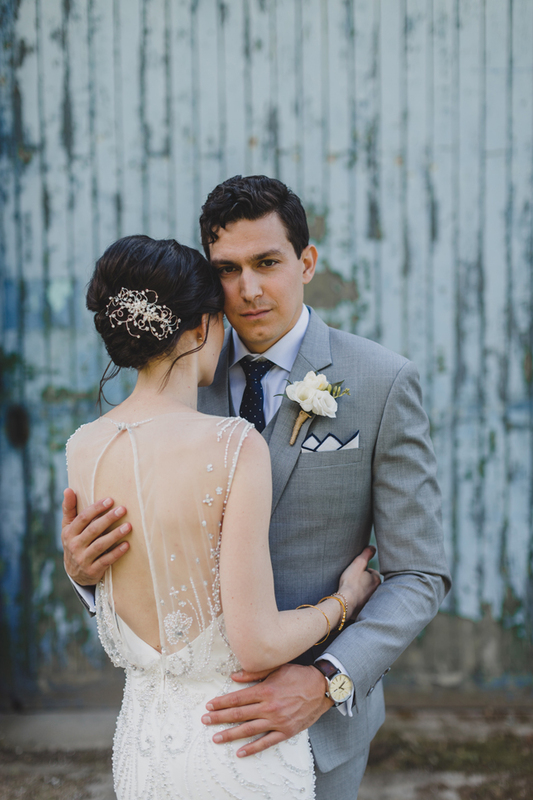 So, we decided to keep that tradition alive and met on the Brooklyn Bridge on a Friday afternoon in the fall. 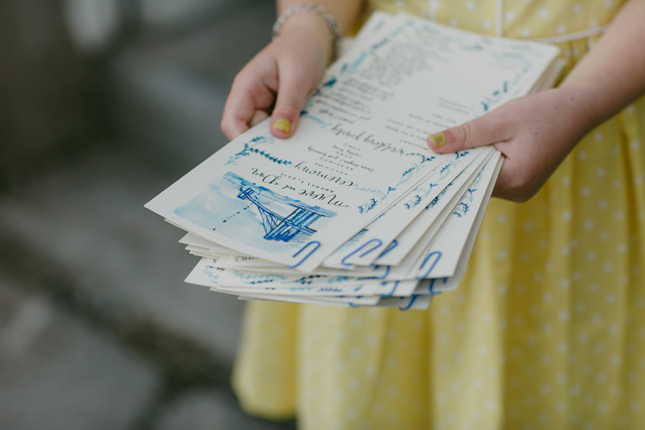 We walked from Manhattan to Brooklyn together and stopped to exchange gifts and some words we had written for each other. 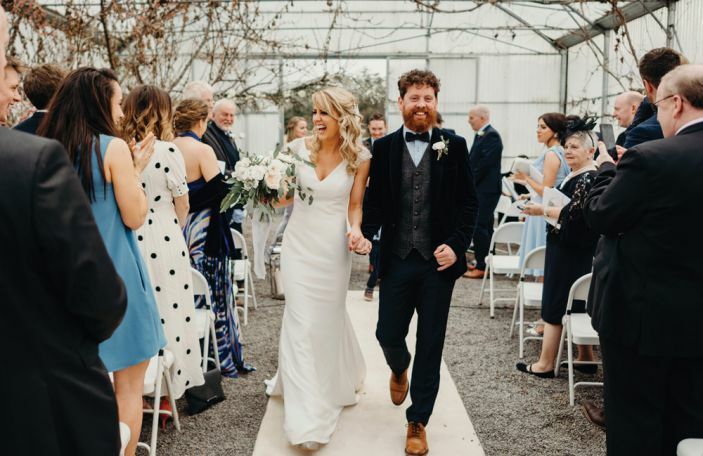 We then shared the moment with friends and family, having lunch in Brooklyn with Dan’s parents and we flew to Ireland that night to celebrate with my family," says Maeve. 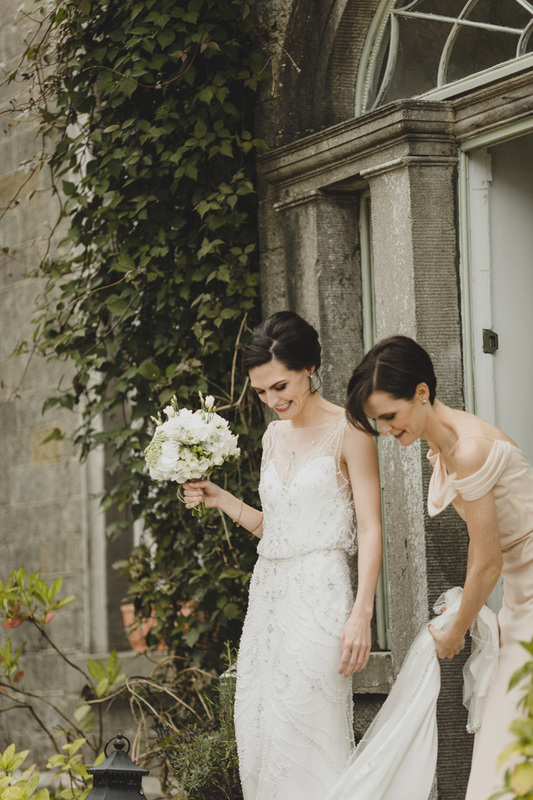 Maeve feels most at home in Ireland and Dan has fallen in love with here so they were always sure they wanted to get married Ireland. 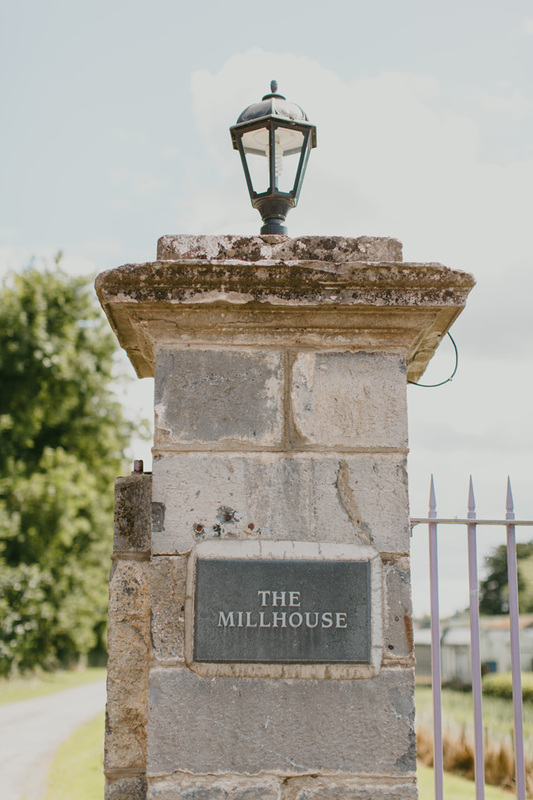 "We had done lots of online research and The Millhouse was the first place we looked at - we fell in love with it on a dreary October day, so we knew we would love it no matter what in the summer! 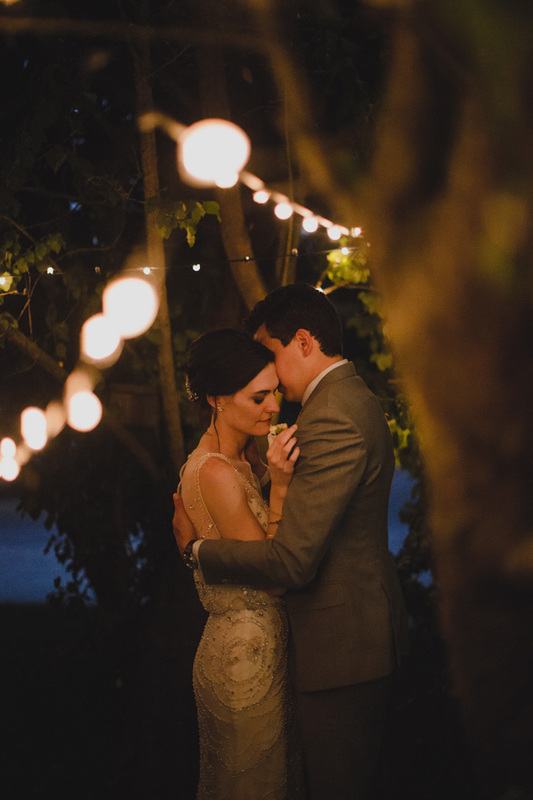 It had the perfect mix of rustic feel and charm with a warm and welcoming atmosphere," Maeve said. 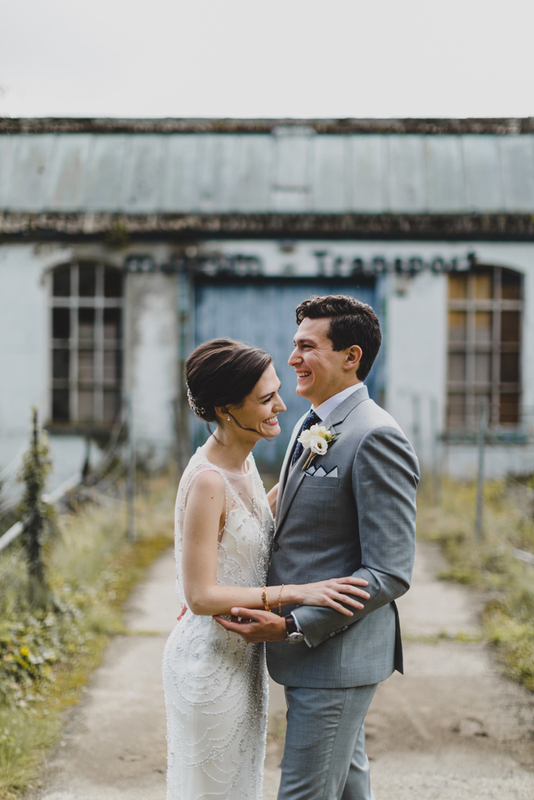 Planning their Millhouse wedding from abroad had its advantages, it meant they couldn’t dwell on any decisions for too long as they had limited information via the internet. 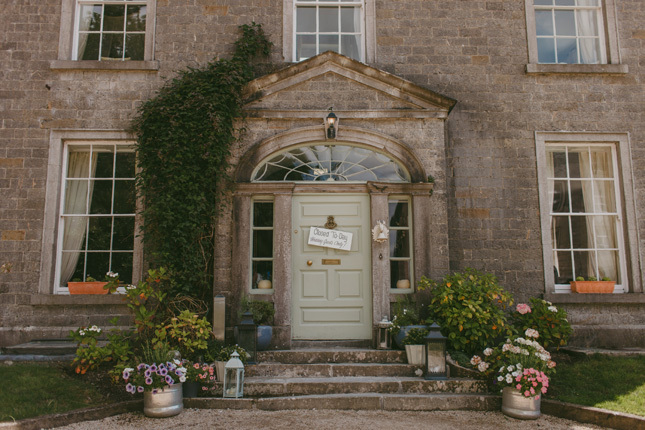 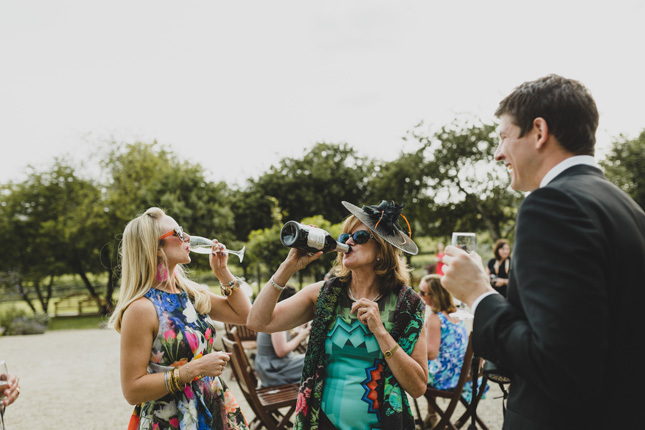 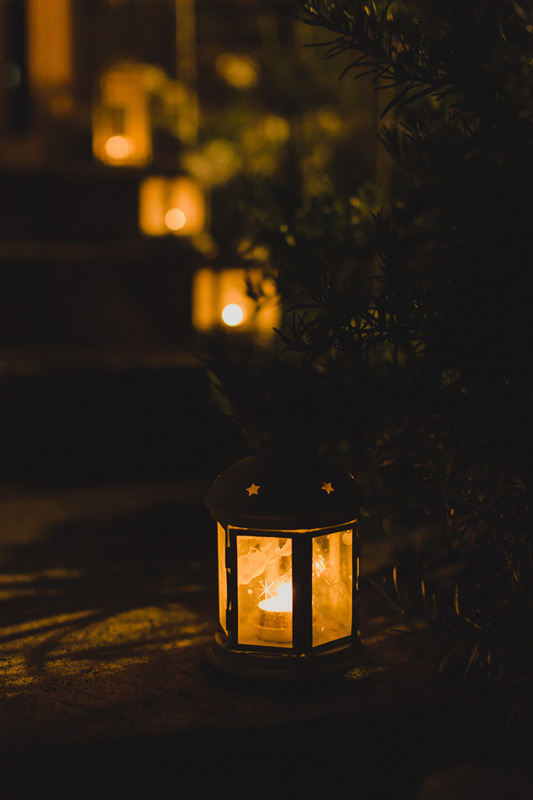 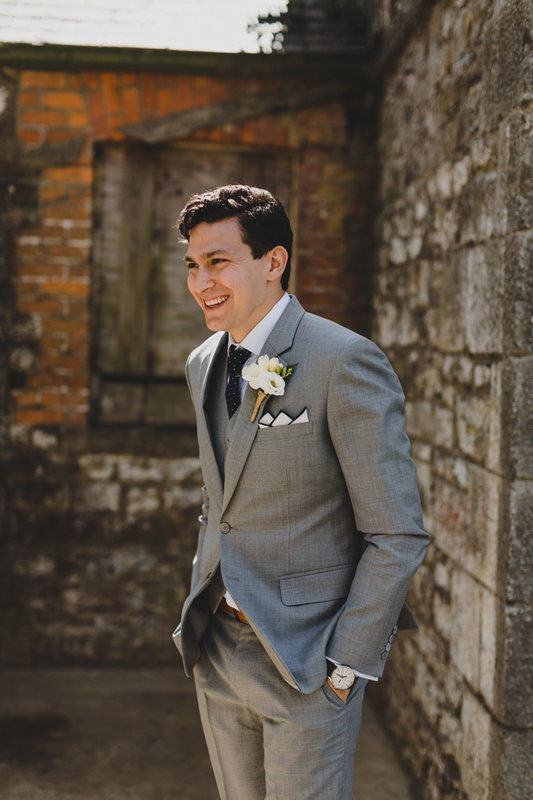 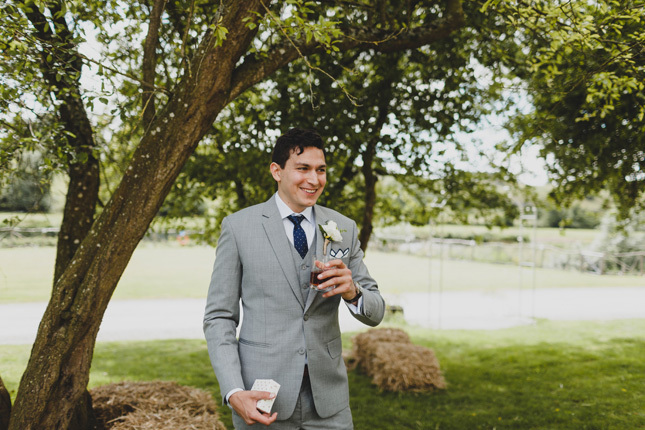 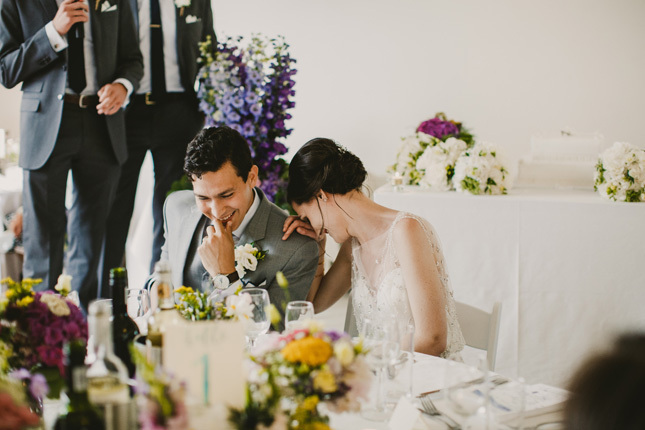 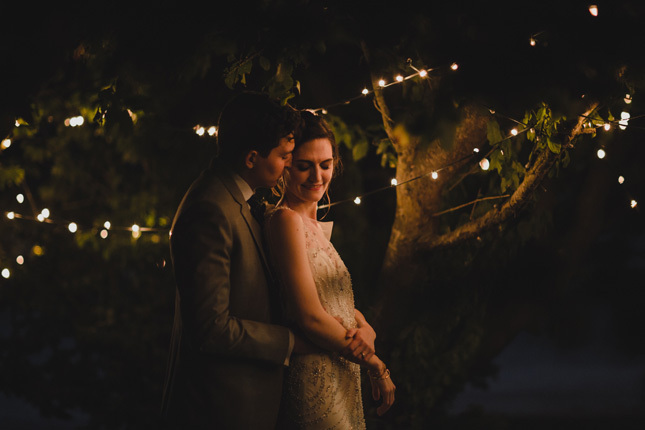 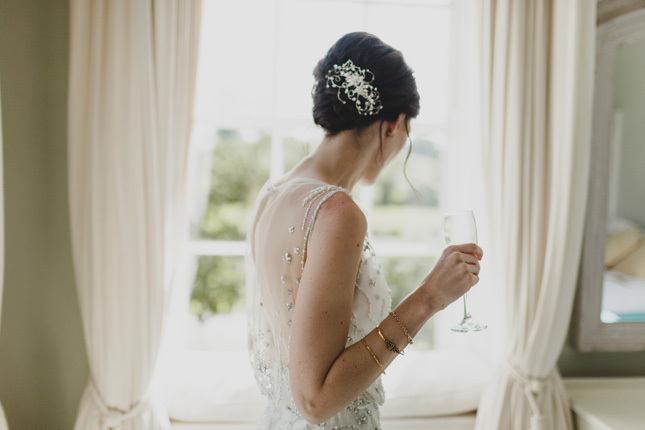 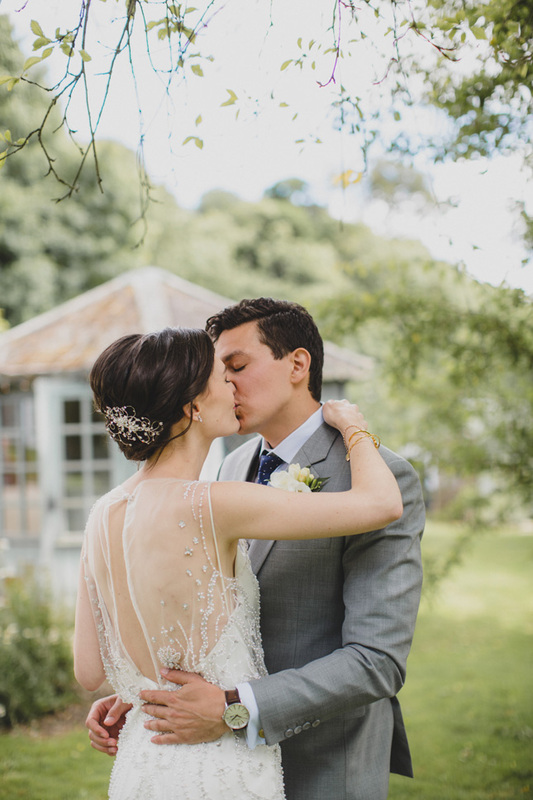 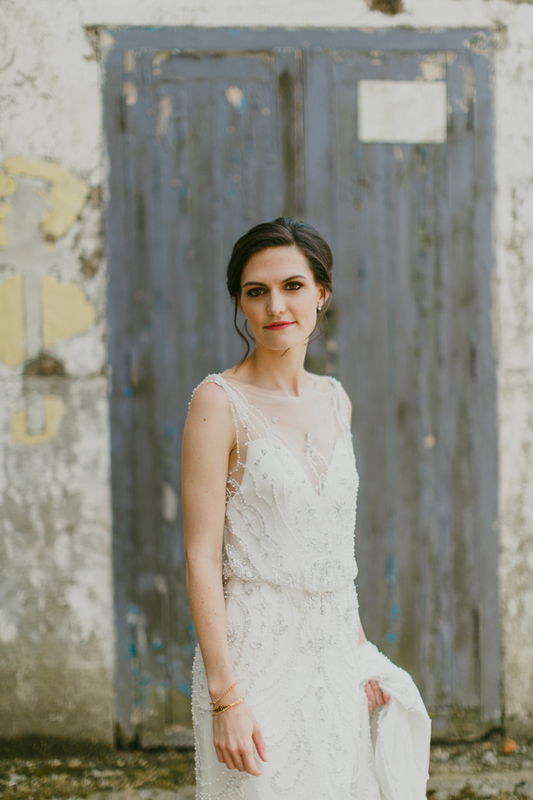 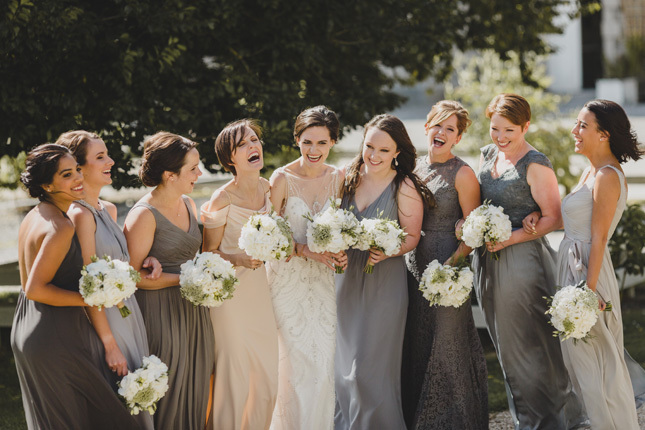 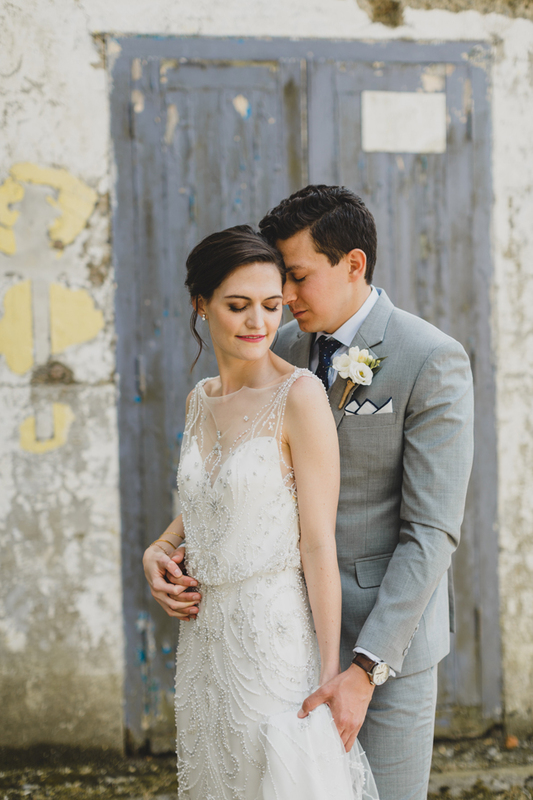 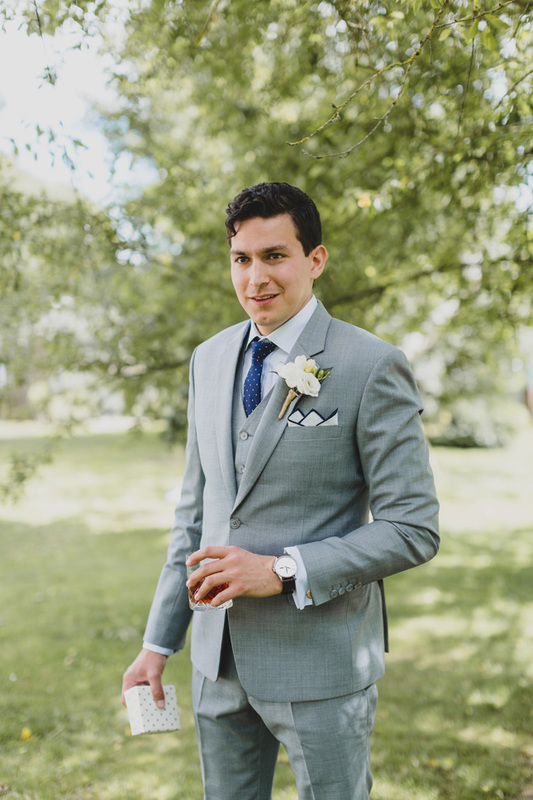 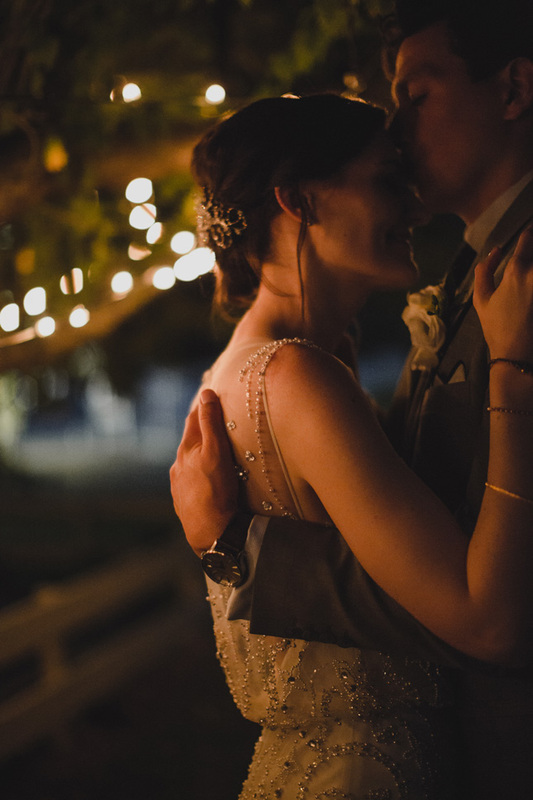 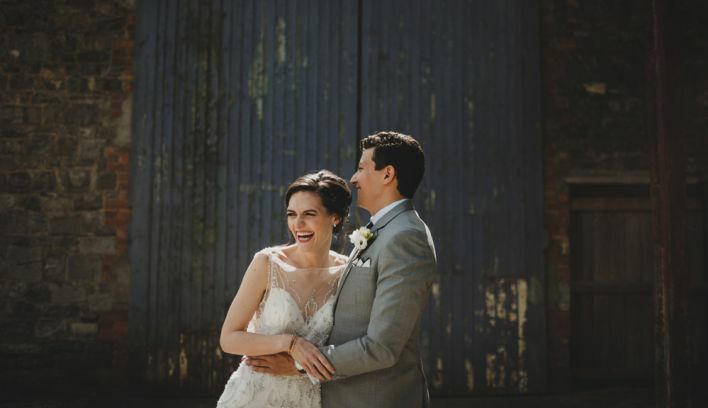 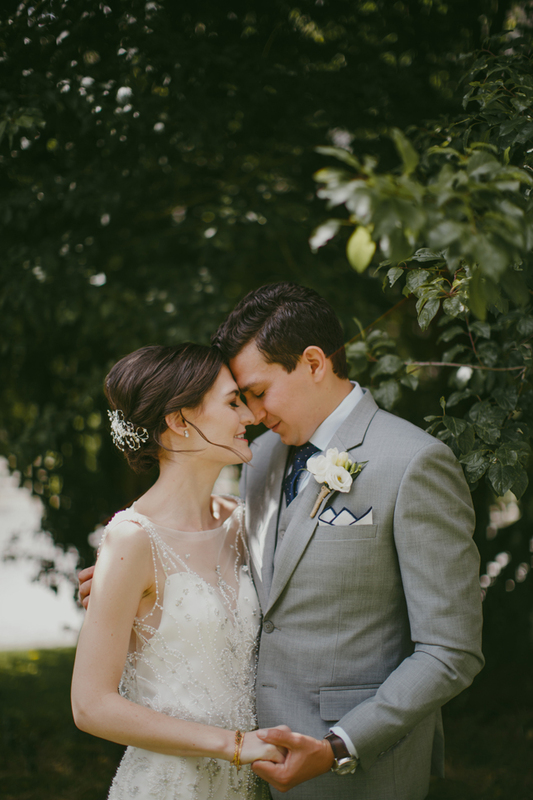 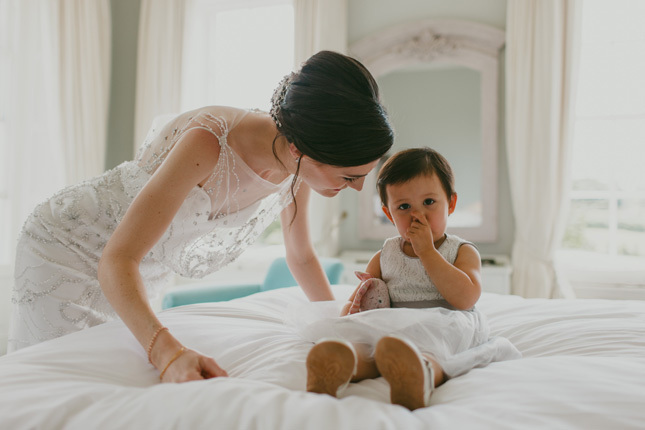 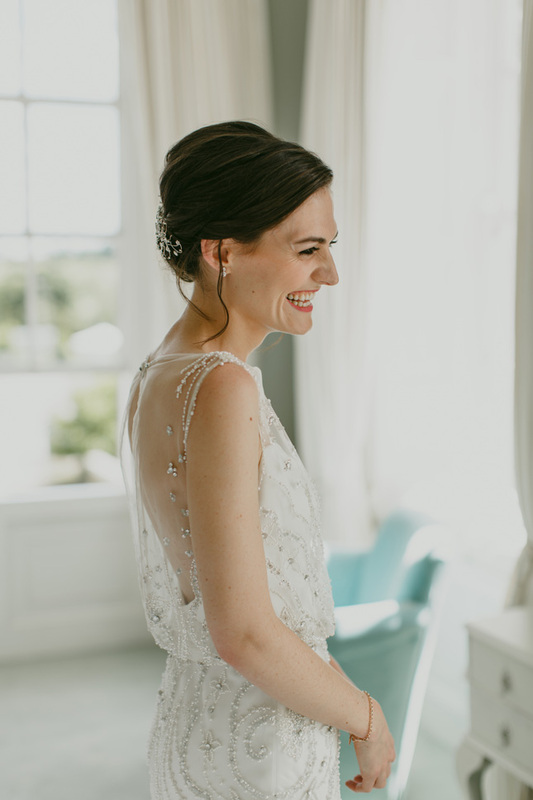 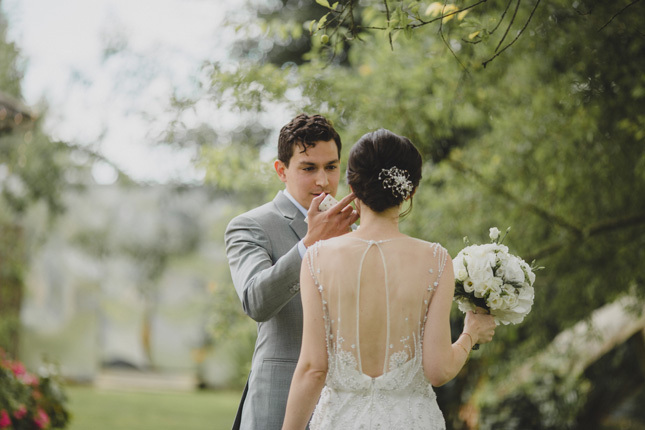 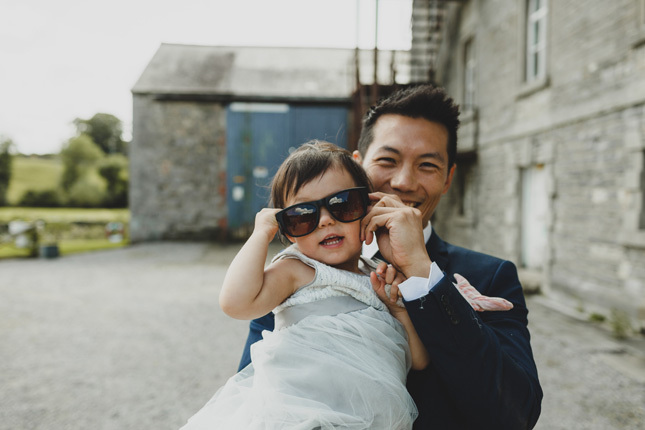 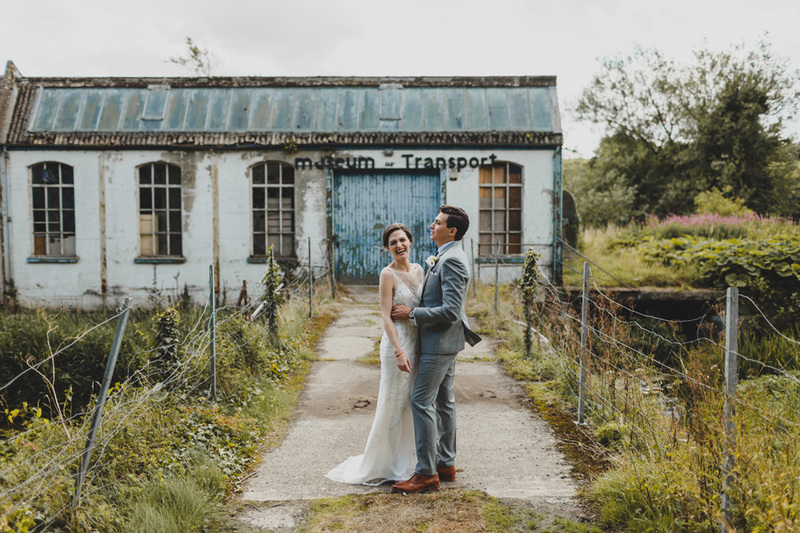 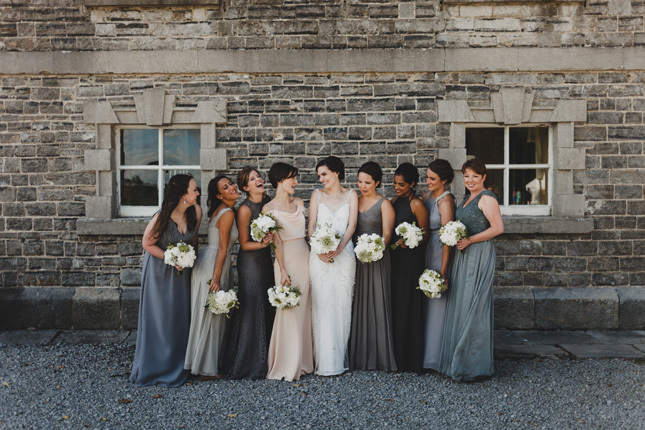 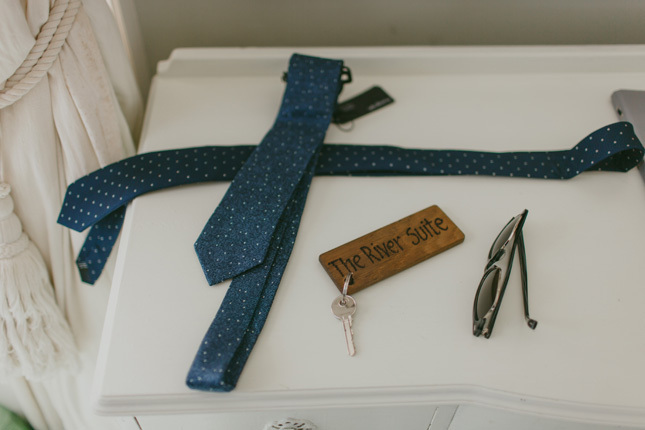 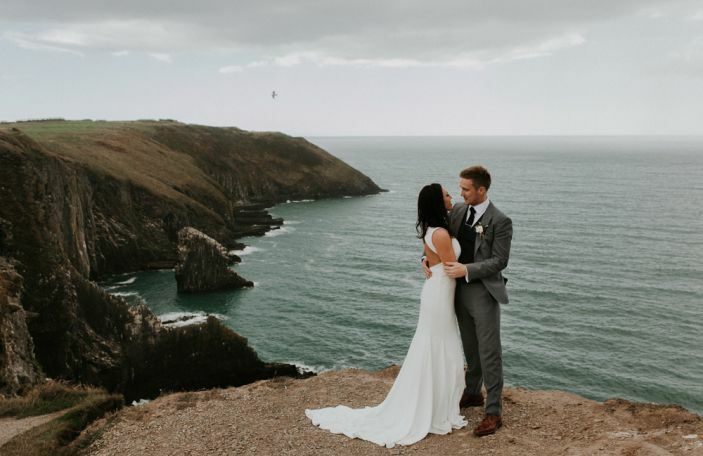 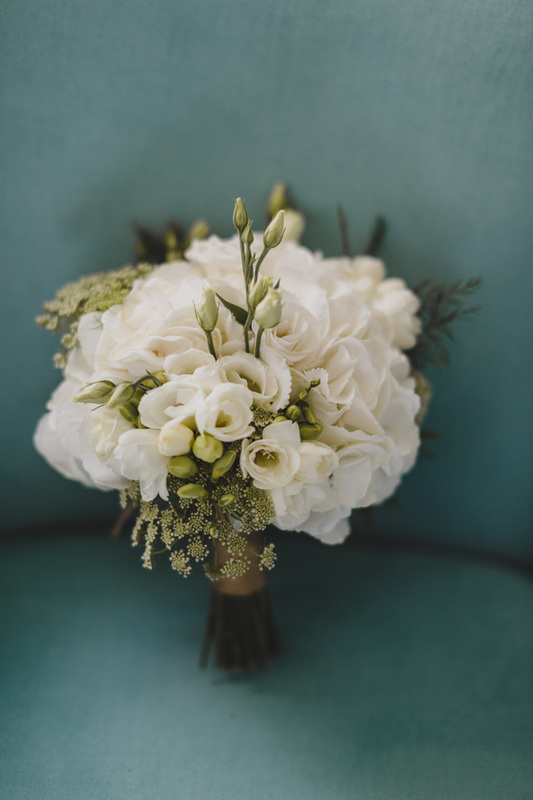 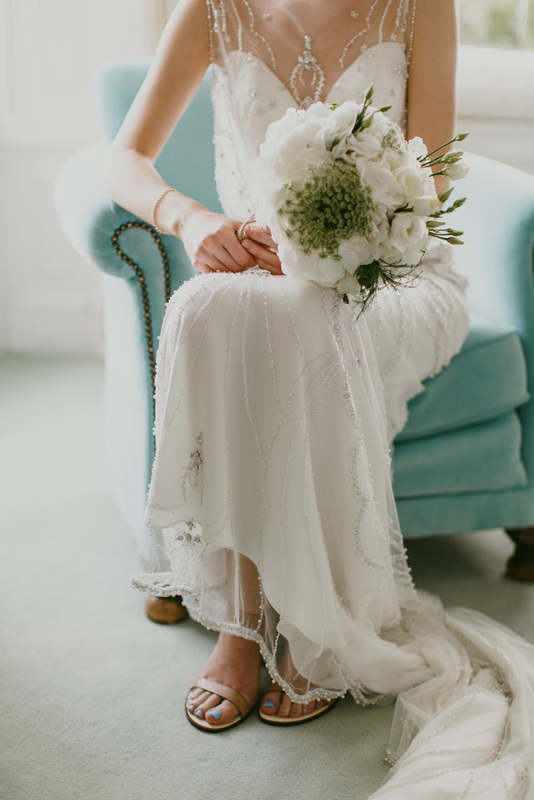 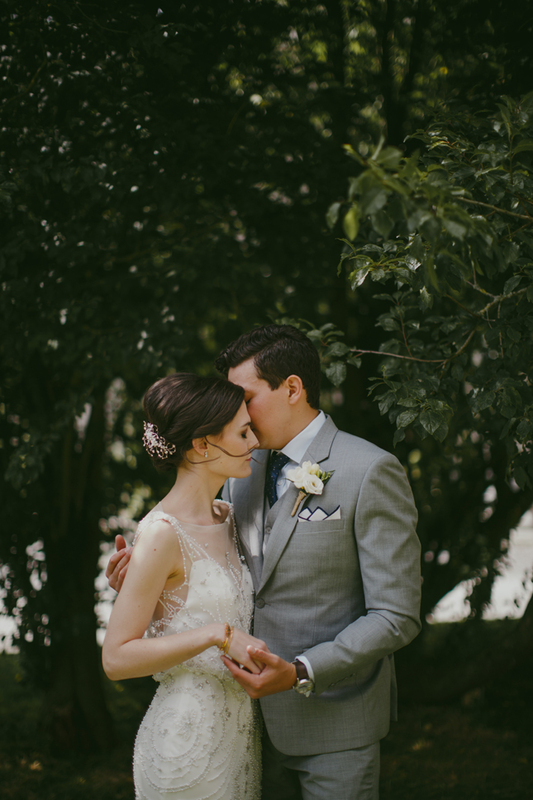 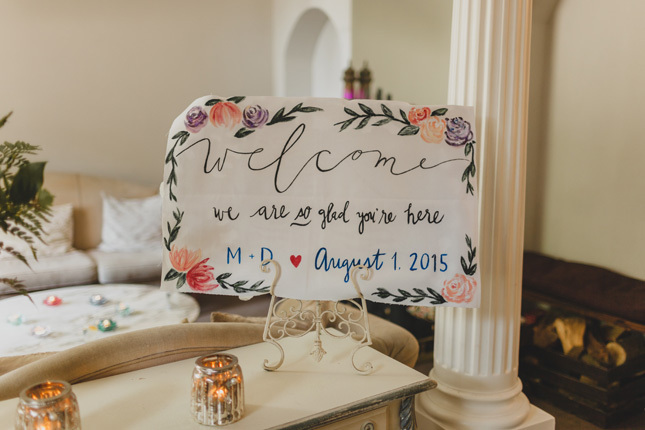 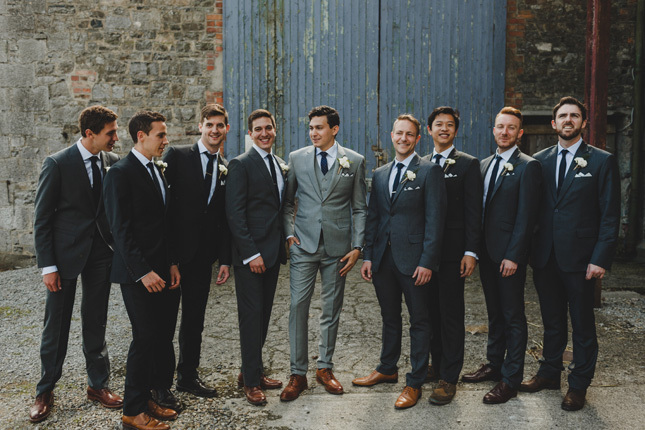 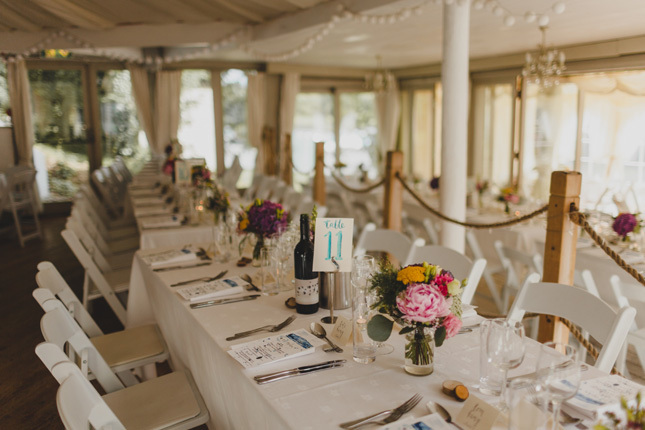 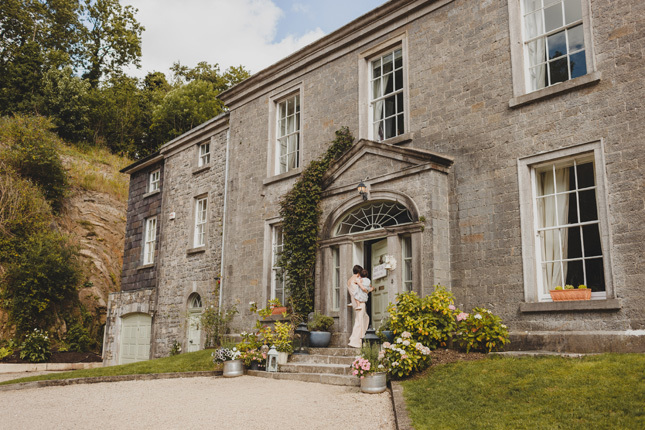 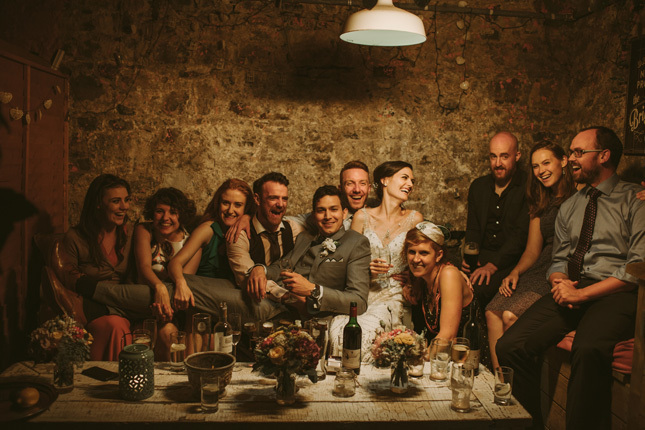 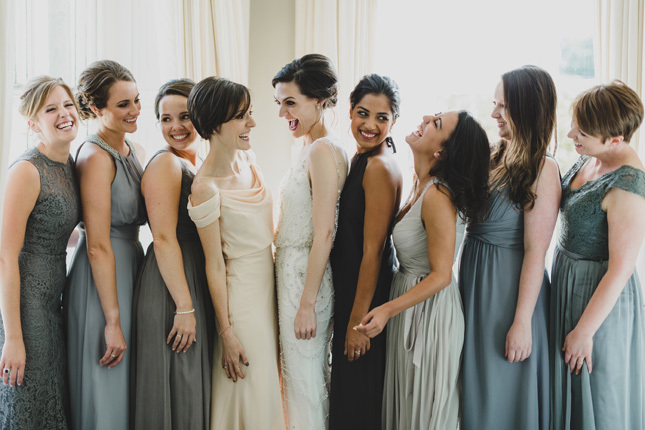 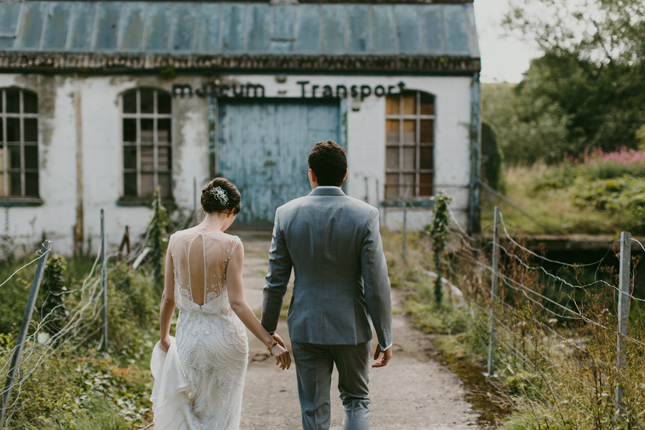 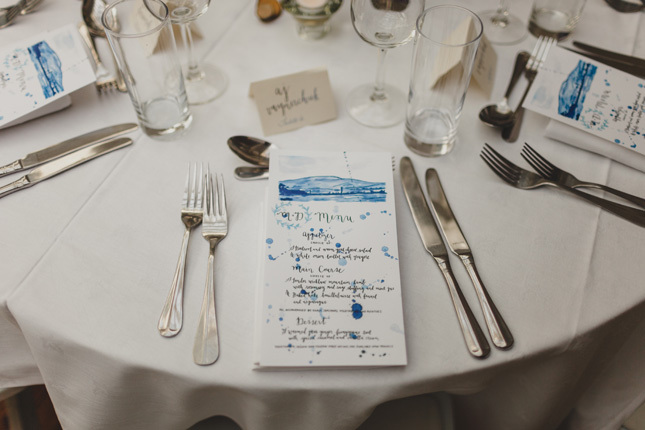 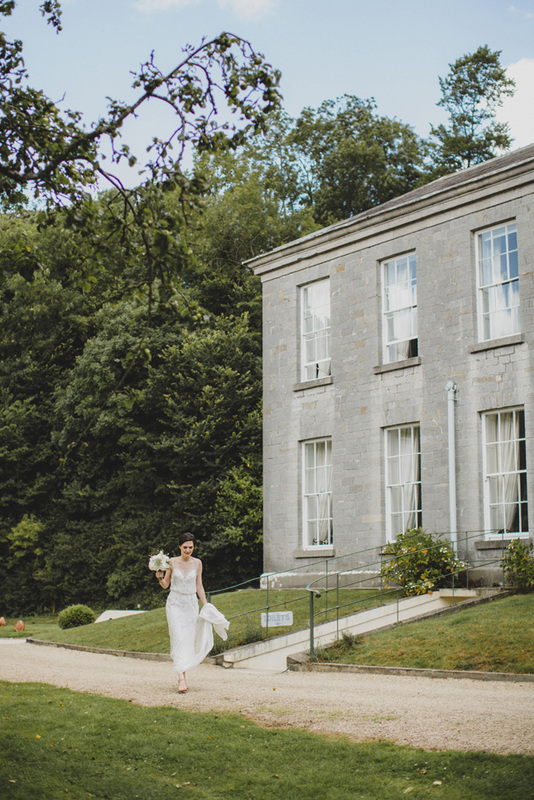 "Our first step, after securing our venue, was to select an amazing photographer, so we spent time researching and instantly fell in love with Paula O'Hara’s work." 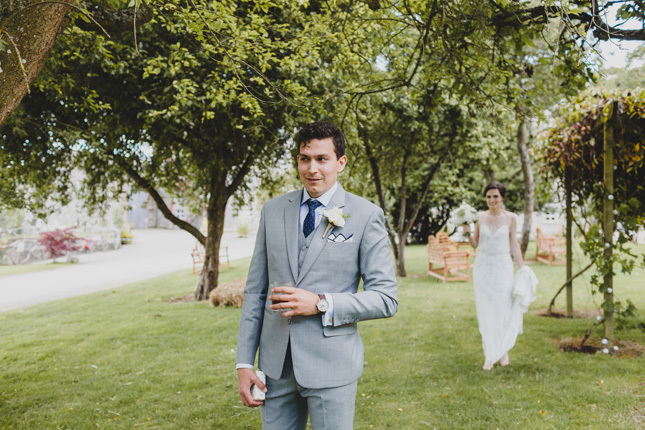 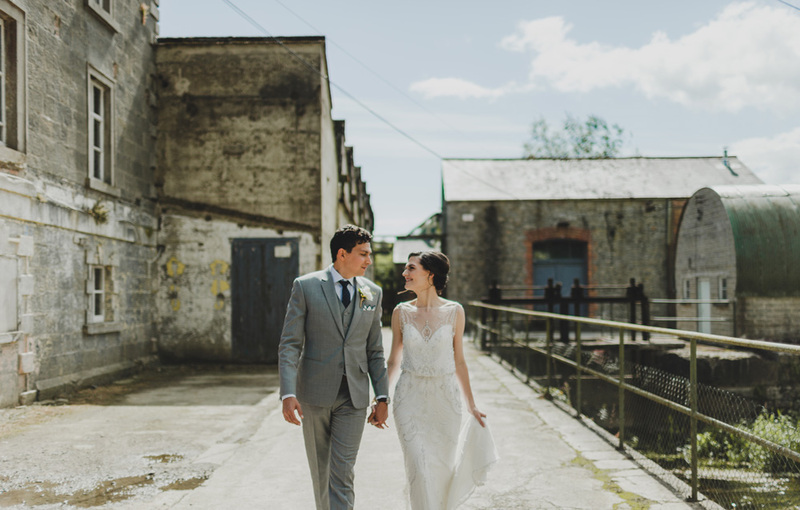 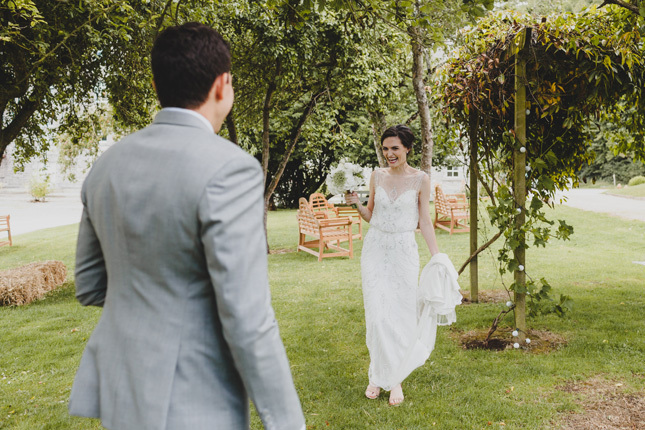 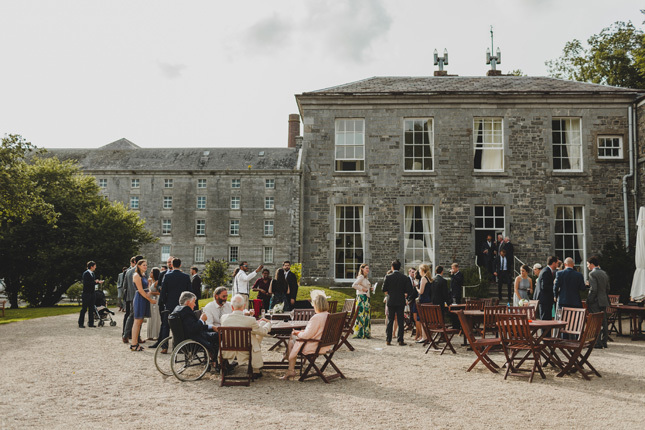 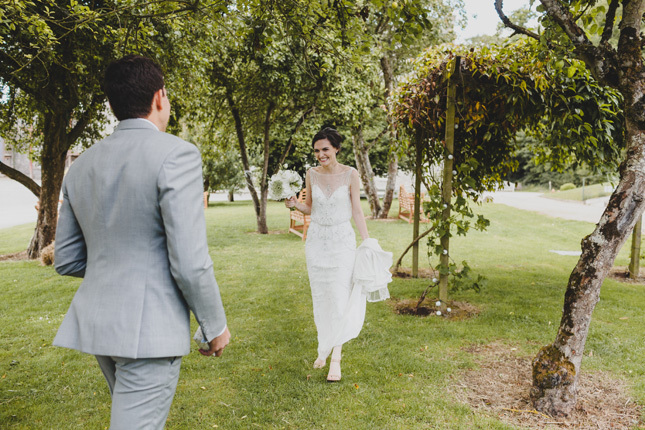 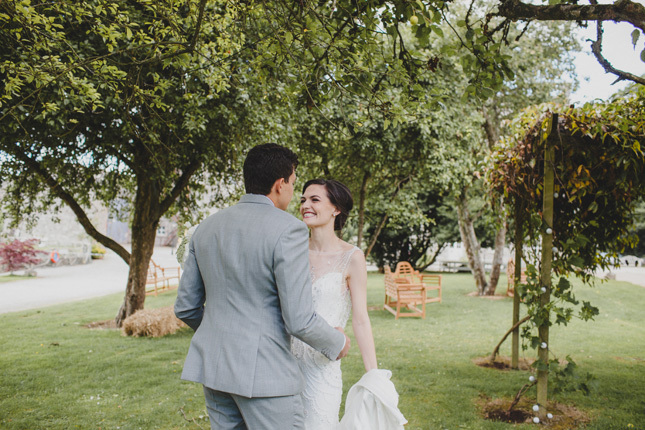 Maeve and Dan were quite lucky with the weather for their Millhouse wedding, as it was the first sunny day in Ireland, during the summer. 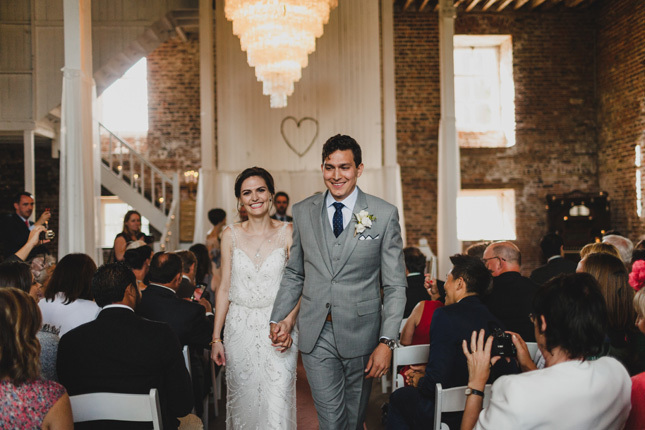 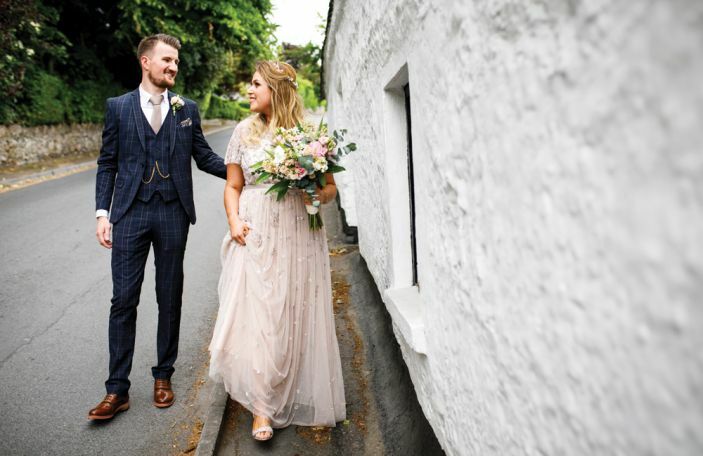 "We took photos beforehand by doing a 'first look', and that was a great decision for us - it gave Dan and I the time to be together, before having everyone around and it meant we didn’t miss any of the post-ceremony celebrating," Maeve says. 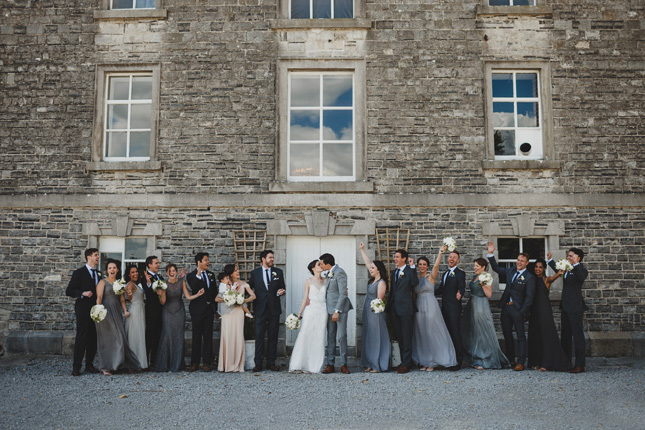 "One of our favourite moments was the day-after-BBQ, where a pick-up game of hurling with Irish and Americans came together - it was brilliant fun and phenomenal to see all of the guests come together to play and watch." 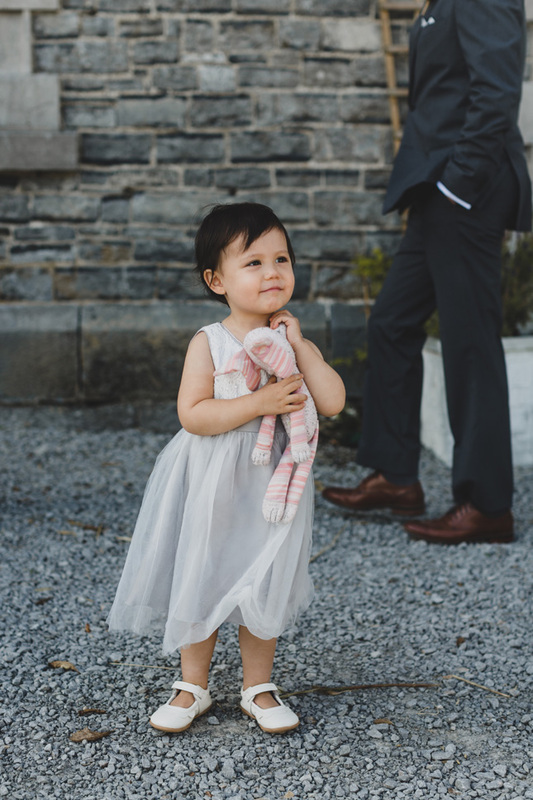 Maeve's Dad’s very good friend, Pat Cronin, makes hurleys and brought all the supplies for everyone to play. 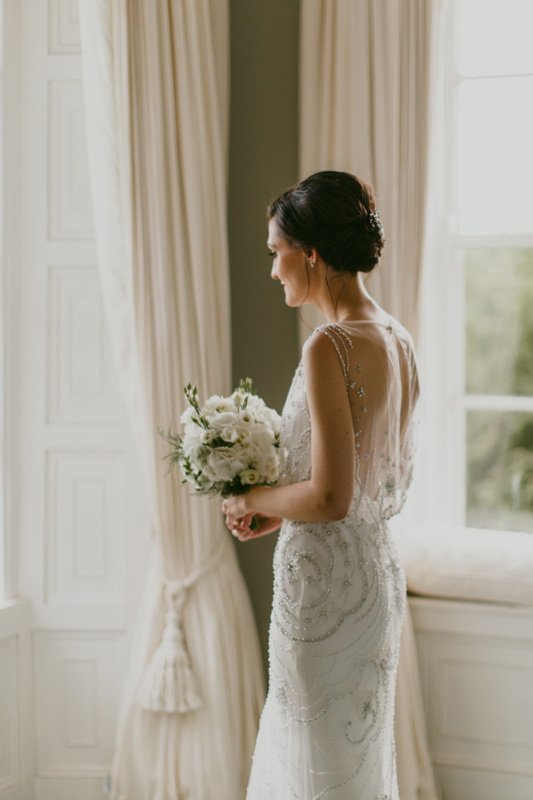 One of the biggest hiccups of the wedding occurred when Maeve's dress arrived from the US, only for Maeve to realise it was too small and couldn't be taken out! 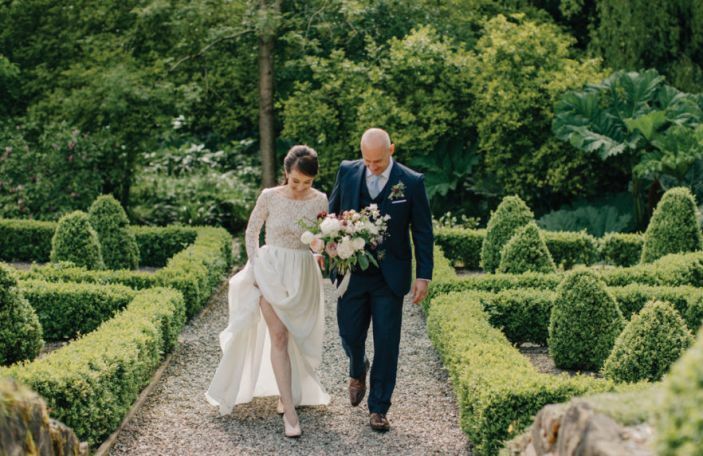 "We had to find a new dress with only three weeks to go until the wedding day! The bridal shops in Tipperary and Kilkenny were amazing though and I was able to pop into a few of them within a few days. 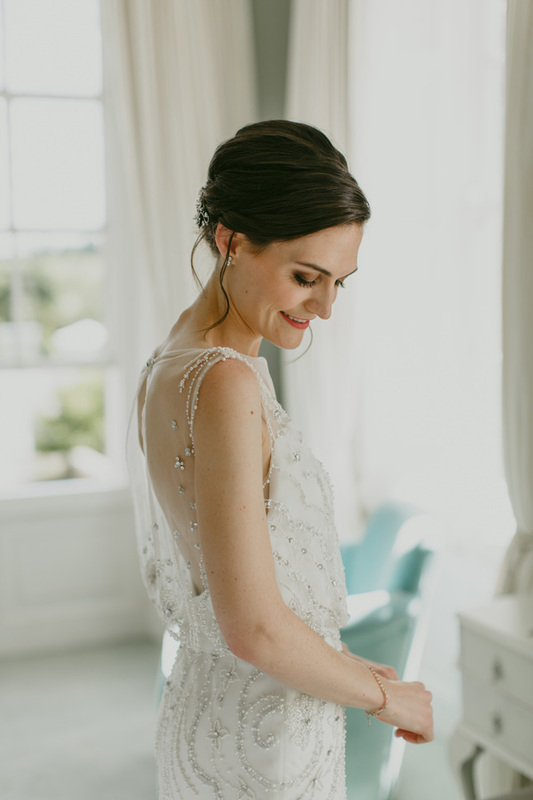 I ultimately found my new dress, off the rack in Cameo Bridal, Kilkenny where the incredible owner, Lisa, made sure the alterations were (expertly) done a week before the wedding!" 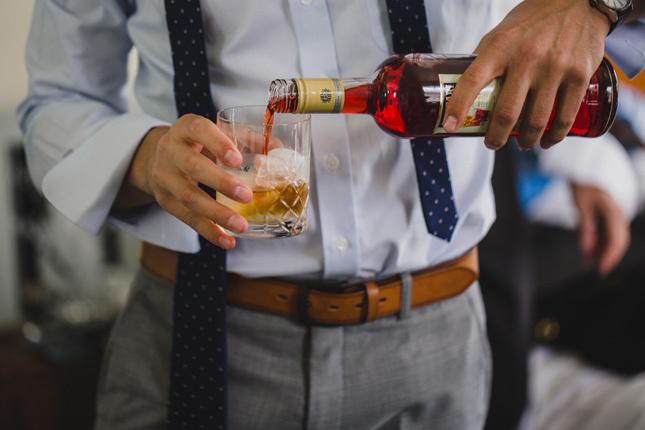 - Phew! 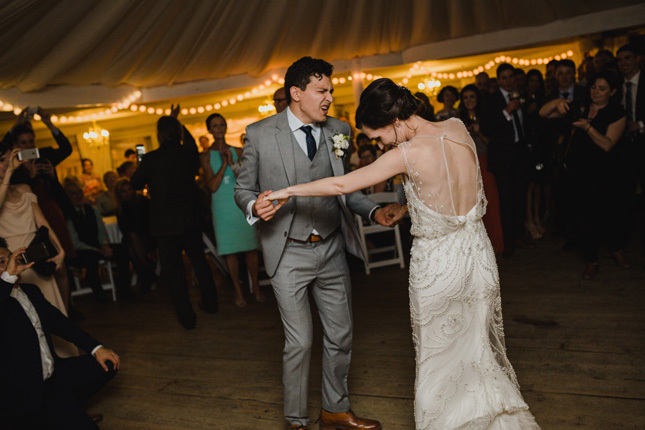 "We danced to Time After Time by Cyndi Lauper - the song has been a bit of an inside joke for us as 'our song', because of me loving the movie, Romy and Michelle’s High School Reunion, and then making Dan watch it in the early days of our relationship," laughs Maeve. 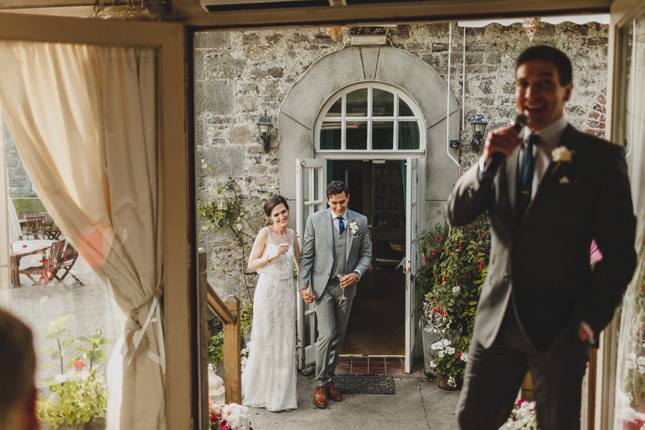 Maeve and Dan's advice for couple is to not get too stressed about all the extras and little details. 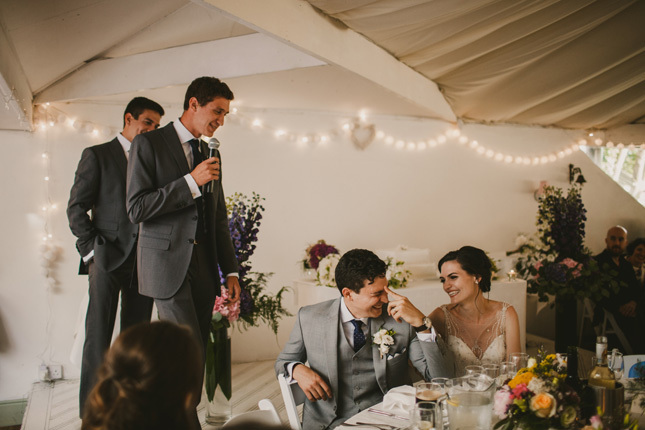 "I was really pleased with our decision to not get too involved in lots of details and extras for the day. 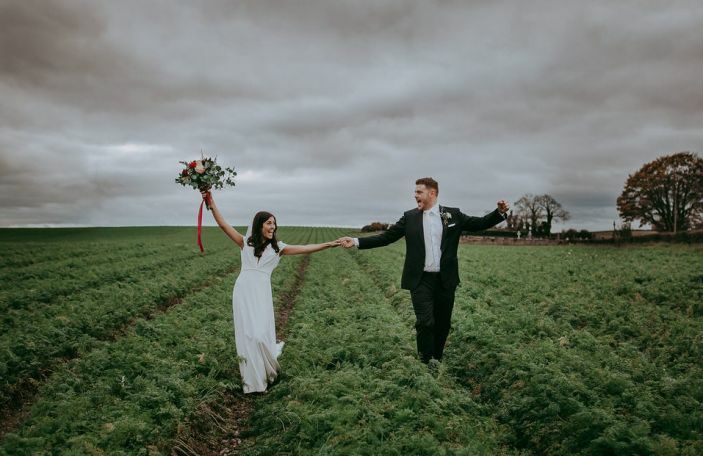 It made for less planning stress and we focused on picking amazing vendors, we trusted them and were very pleased with the result."